Home › Environment › Adamstown residents to pay a high price for this moment of madness by our planners. This review of the plan was presented at 2 public meeting in Finnstown House Hotel by South Dublin County Councils Planning Department as a timely review after 10 years of the Adamstown SDZ. Some of the planners spoke in general terms that conditions set out in the plan with hindsight may have been ill considered, and for that reason a review was a necessary step. The facts of the matter are there is nothing in the plans which lead to its stalling. Ireland suffered its worst recession since the founding of the state and our entire banking system imploded. 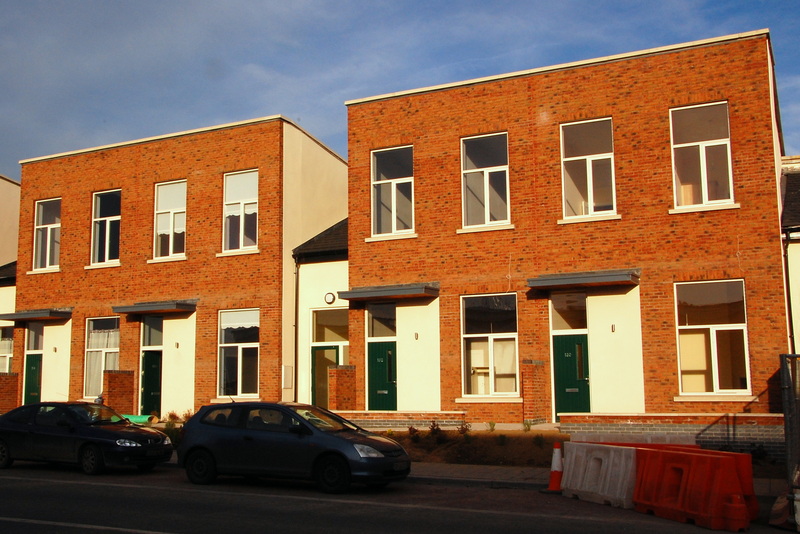 In fact the quality of design in creating a sustainable community was acknowledged internationally when at a ceremony in London on Thursday 5th February 2009: Adamstown Strategic Development Zone received a Royal Town Planning Institute (RTPI) Planning Award for Sustainable Communities. 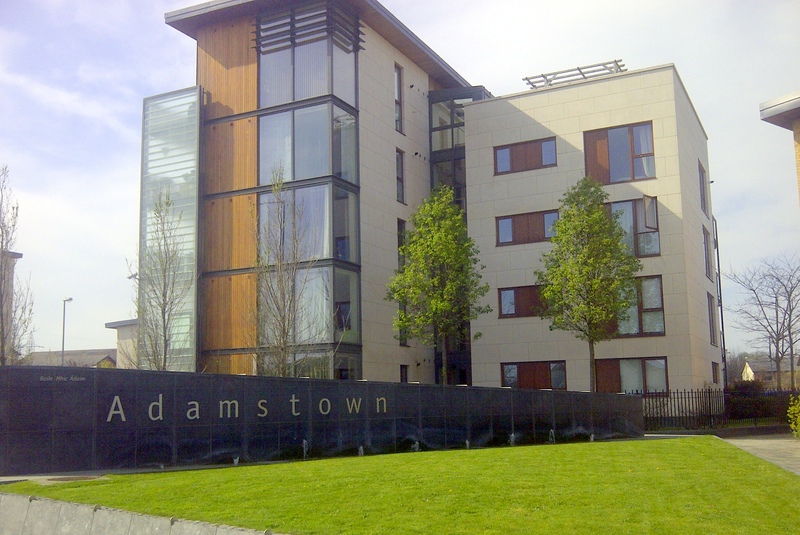 The RTPI Judges reported “we were impressed by the quality and scale of the development at Adamstown. It is of a size (10,000 homes plus community and employment uses) often advocated for ‘new settlements’ and, as such, is a model for developments elsewhere”. So what has changed the planner’s views since the accolades of 2009? Nothing. In fact South Dublin were up to last month bussing in planners and architects in from all over Europe to see first had this wonderful success. Adamstown has not become a ghost estate, those living here by in large are happy with the quality of their home and almost everyone you speak to will tell you their main reason they moved here was because of the amenities. Homes continue to sell in Adamstown the most recent launches are sold out with people putting their names on a waiting list for cancellations. This review is driven entirely by the developers desire rid the plan of expensive social infrastructure he signed up to deliver. It’s fabrication to say we now need to make these changes to kick start the development, something many of our councillors are also peddling. Plagued by a bad local government. Unlike other local governments systems across Europe ours is almost entirely dependent on rates and developers fees. Right now South Dublin is strapped for cash and policy appears to have shifted away from proper planning envisaged in the Adamstown SDZ in order to make a quick buck, something which was all too evident through Lucan in the early 90’ and 2000’s. So Adamstown’s long term development is being compromised for greater developer profits and a little cash for South Dublin CC. Planning meeting were contrived to get answers it sought. At both public meetings by South Dublin Planners the debate was carefully structured following registration into groups of 10, people were screened and split up so as not to have a table dominated by a particular group or view. Questions were poised in way such as what do you feel are the key elements required for the future development thus asking residents for instance; let’s say to rate a school higher than a public park or would you prefer 2 smaller community centres rather than one larger one? When there are 8 in the original plan. No doubt some of the residents will have being duped by these tactics and a number of submission will reflect their lack of understanding, and that they were in fact trading off key amenities in the future development of Adamstown. “The Devil is in the Detail” is at the heart of this review. Lack of imagination and quality of material already visible in the latest phase. We need to revisit the original draft plan approved by the Council back in 2003. It did not contain the building of schools (only land set aside) It did not contain the building of a train station; it did not contain any connection between the building of houses and the completion of social amenities. This plan was recommended by the then county manager that it be approved by councillors (without key infrastructure) as a good plan with just 2 of our 4 councillors local opposing the plan. It was then appealed to An Bord Pleanála (by local groups) and finally approved with most of local groups concerns in the scheme we have today which includes very precise details regarding timings, phasing, references to street widths, building heights, and capacity on public transport. This latest document has removed vital references from the original plans given the developers a free reign of how the development is completed and corners will be cut. One of the few positives to come out of the review is the increased floor size of all units, but this could have been achieved in the original scheme. The whole purpose of the original SDZ was to create a blueprint for a more sustainable type of development which saw housing in tandem with social amenities. The review takes us back to the sins of the past. The swimming pool and leisure centre may never be built. The developers want to kick the swimming pool so far down the road that it can revisit the scheme in another 5 years and probably remove it from the plans altogether. This is made even harder to swallow by resident given that a few years ago Finnstown House Hotel we blocked from building a pool by Castlethorn because it had plans to build a pool on the Adamstown lands. Residents have been cheated not once but twice of a pool. A solution does exist where a pool could be built; 2 years ago Castlethorn approached South Dublin County Council with an offer to build the pool if South Dublin County Council would operate the pool. This was rejected by South Dublin. Recently some politician has been calling on a public pool to build in Lucan. For more than 20 years the people of Lucan have been promised a public pool, which has never materialised, in that time both Tallaght and Clondalkin both got state of the art pools. It appears when it comes to public facilities Lucan is the poor relation as far as the council is concerned. Now it seems certain local politician are unwilling to consider the Adamstown location based on commitments made by their party many years ago made to deliver a pool beside the Lucan leisure Centre at Griffeen (Irish politics at its worst). So rather than work out something with the Council and developers to provide that pool on a site already granted permission. These same politicians would rather deprive the entire Lucan/Adamstown of this unique opportunity to have a pool built if it’s not built at their chosen location. If the Adamstown pool gets shifted to phase 7 we can say good bye to a pool in either Adamstown or Lucan public or private for at least another 10 years. One of the Adamstown developers has already gone bust and his portion will be either divvied out to Joe O’Reilly’s Castlethorn or some other prominent NAMA developer. The same Mr. Joe O’Reilly is in receipt of an annual salary from NAMA of €200,000 to keep his empire ticking over. This review of the Adamstown plan should it be approved will see taxpayers reward him and his empire even further. While the resident who bought into the scheme struggle each month to make ends meet. Following the proposed shopping sized car application fiasco that was to be dumped on residents doorsteps, how could anyone possible have faith in what the developers have in mind for the future of Adamstown. This review of the plan was timed by the developer to remove what they deem unnecessary costly bits (amenities and design) while Ireland is still in a recession. Dublin’s population will continue to grow reaching an estimated 2 million by 2050 and demand will return in Dublin for new housing very shortly. Once the banks start lending again and if these changes are made, the developers are well placed to make a larger profit on each unit they sell, while home owners existing and future residents will pay a very price for this moment of madness by our planners. Adamstown SDZ remains a good plan, tampering with the document at this point is the worst of all options and it must be rejected. What happened to that vision? ‹ Shopping centre sized car park at Adamstown – Back to 90’s planning.